So, attention all city farmers and wannabe urban homesteaders: There’s a free, autographed Farm City to the person who writes the most entertaining comment about their endeavors growing or raising their own food in the asphalt jungle (or their fantasies about doing the same). Do you have a tale to tell about a veggie patch planted in the ‘hood that produced nary a thing to eat? Have you devised innovative strategies to keep metro-dwelling predators at bay? Are you contemplating or already raising bees, chickens, goats — or even a cow — in city limits? Bring it on. Tell us a witty, eye-opening, or inspiring snippet about city farming and I’ll pick a winner by 10 P.M. PST on Monday, September 7, which just happens to be Labor Day. Happy Harvesting. Update: Thanks to all for creative comments about the joys and challenges of city farming. It was hard to single out just one entry but the autographed copy of Farm City goes to….Velma for her planted chicken story (scroll below for details). The author herself judged the comp and Novella noted that she chose Velma because she was moved by the childhood innocence of her tale. Velma: Send me your contact details and I’ll ship the book off to you. My email is: sarahhenry0509@gmail.com. Thanks again for playing. And stay tuned for a school food book giveaway later this month. You know how right after you first learn the meaning of a word or hear an unfamiliar expression you find yourself running across that word over and over again? Maybe it pops up in a book, on the news, or in conversation. It’s like the term was floating out there in the universe all the time and you just didn’t know it. That’s how I feel lately about the au courant label urban homestead. Everywhere I turn the term seems to be sprouting, in chats with friends, in interviews with farm and food folk, in discussions with colleagues, and in the press. Not sure what urban homesteading looks like? It’s city dwellers who both enjoy all the urban jungle has to offer and turn city lots, their tiny backyards, balconies, or roof tops into little farms by growing their own greens, preserving, brewing, keeping bees, and/or raising and butchering their own animals for milk, eggs, and meat. Why are city slickers cultivating this way of life in increasing numbers? For some, it’s a way to connect directly with nature and the food they eat. For others it’s about self-sufficiency, independence, food safety, or food security. Some get going for economic reasons. Still others site its eco cred, lowering their carbon footprint (especially those who opt to go off the grid–as much as humanly possible in the urban environment–by installing solar panels and rain tanks, recycling gray water, and hanging laundry). Of course, for many urban homesteaders, all or many of the above apply. At its core, this homegrown urban farm revolution marks a cultural and political shift from consuming (buying food) to producing (growing and making your own chow). What makes it different from previous back-to-the-land moments? It’s taking place in major metropolitan areas — and there’s an underlying ethos that participants derive pleasure and build community from all this D.I.Y. production and preservation. It’s meant to be fun, as well as good for the body, soul, and planet. 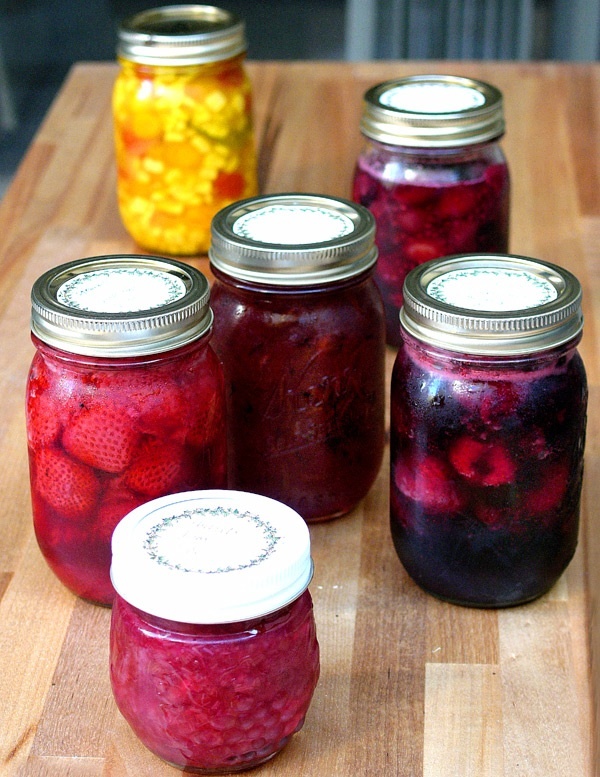 Urban homesteaders throw canning parties, team up to cure meat, exchange eggs and milk for honey and herbs, and enjoy the fruits of their labor in elaborate feasts with like-minded foodie friends, or so recent news accounts suggest. It seems the domestic arts are groovy again and these newly-learned or rediscovered skills and home-based habits may very well outlast the current economic downturn. This emerging trend echoes earlier grow-your-own efforts, like the World War II-era victory gardens that took root after Eleanor Roosevelt planted a veggie patch at the White House. The Grand Pappy of the modern-day city farm trend may well be Jules Dervaes in Pasedena. On his family farm Dervaes and his three grown children cultivate just one-tenth of an acre, which has produced over three tons of food from some 350 different vegetables, fruits, and herbs. Their online urban homesteading journal dates back to the pre-blogging, olden days of cyberspace, circa 2001. In my corner of the globe several urban homesteaders are making names for themselves beyond their home base. Food forager Asiya Wadud is profiled in a previous post. Anya Fernald, who served as executive director of Slow Food Nation in San Francisco last year, and who recently launched LiveCulture and is organizing next month’s Eat Real Festival in Oakland is another garnering national attention. More on this food activist’s projects to come. Writer Novella Carpenter, whose memoir Farm City hilariously chronicles the joys and hazards of squat-lot farming in the ghetto, is another. Carpenter and her edible pets will make an appearance in a future post. Looking to learn about how to start your own small-scale urban farm? 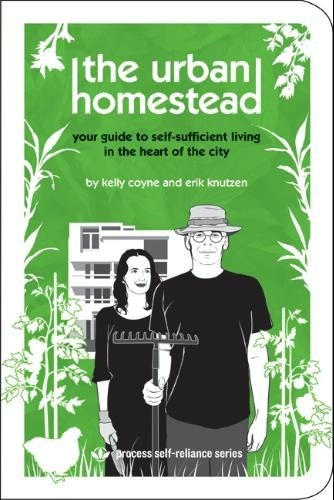 Check out the blog spot homegrown evolution, by SoCal city farmers Erik Knutzen and Kelly Coyne, authors of The Urban Homestead, who pass on urban homesteading tips and techniques gleaned from their experience. “Once you discover that lettuce actually has a distinct flavor, or you eat a sweet tomato still warm from the sun, or an orange-yolked egg from your own hen, you will never be satisfied with pre-packaged and factory-farmed again,” writes Coyne, summing up her urban homesteading philosophy elsewhere in the blogosphere. Do you keep bees on your roof, chickens in your side yard, or goats on your back deck? Have you hijacked an abandoned lot and become a pirate gardener, turned your front yard from lawn into lunch, or revitalized that strip of unused land between the street and the sidewalk into an edible oasis? Since a central tenet of the city ag movement is sharing the wealth, feel free to fill us in on your success stories, food-raising failures, or obstacles (legal, logistical, or otherwise) as an urban homesteading adventurer.